“I have to work that much harder to make a career in music,” Amy Black says of starting in the business in her mid-30s. Amy Black doesn’t like to dwell on what might be the most compelling part of her story. Five years ago, she was sitting at her kitchen table when an epiphany took hold. It meant that at age 35, Black would finally pursue a career in music — first as an interpreter of others’ songs and then as a writer of her own. 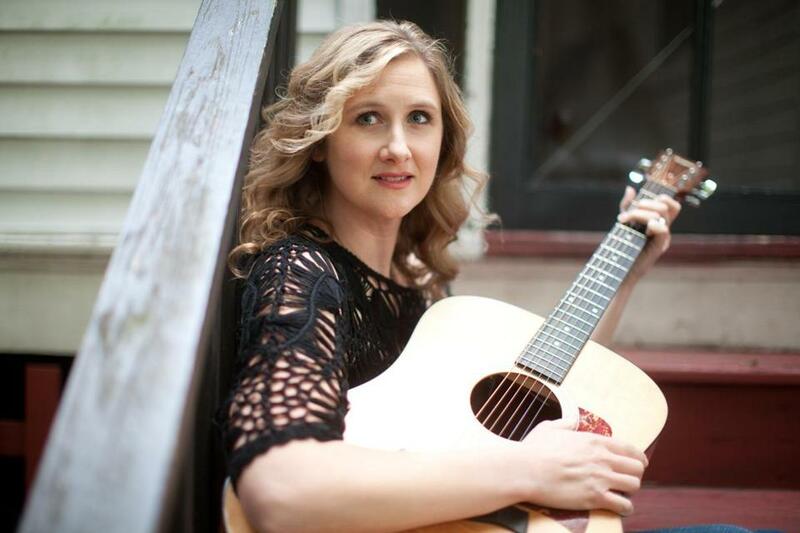 She has had a slow but steady rise in Boston’s roots music scene that eventually has gotten her noticed as far away as Nashville. Black, who plays at Johnny D’s on Saturday for what she says will be her last local show for the rest of the year, could just as easily have fallen through the cracks. She could have focused exclusively on the full-time job she still has working in marketing at a software company. She’s the classic example of a late bloomer. She’s also aware that she couldn’t have written and sung the deeply felt songs that appear on her latest album, “One Time.” From steely murder ballads to tender love songs that evoke bedrock country tropes (“Whiskey and Wine,” a handy description for why two lovers can’t make it work), the record is Americana in its broadest definition. It’s rooted in folk and country but with tinges of Southern soul and blues. After a childhood split between Missouri and Alabama, Black moved to Boston when she was 16. Her father is a minister and brought the family to town to work at a church. Black doesn’t play up her Southern roots, largely because she didn’t truly discover them until she moved east. Once Black decided she was serious about music, she wasted no time. On Craigslist, she teamed up with another fledgling musician and started to hone her singing skills at the local open-mike night in Groton, where she lived at the time. Fifty people came to her first official show she booked at the same venue. At the Bull Run in Shirley, 110 people showed up. And then she cracked the Boston market with gigs at Sally O’Brien’s in Somerville and Toad in Cambridge. To hear Black tell it, things fell into place naturally after that. She started taking guitar lessons — she never played anything before that — in tandem with writing her own songs, which marked a pivotal shift. Suddenly she wasn’t just a singer, but rather an artist in her own right. “I don’t remember feeling incredible pressure to do that, but I certainly recognized that people who had a career in music do their own music,” she says. Her day job has served her well, too. “I have a reputation for being a good business person, a good marketer,” she says. As if to prove the point, she sends a follow-up e-mail after our interview to drive home something that might have been missed. As for her age, she clarifies that she’s not hung up on the number.